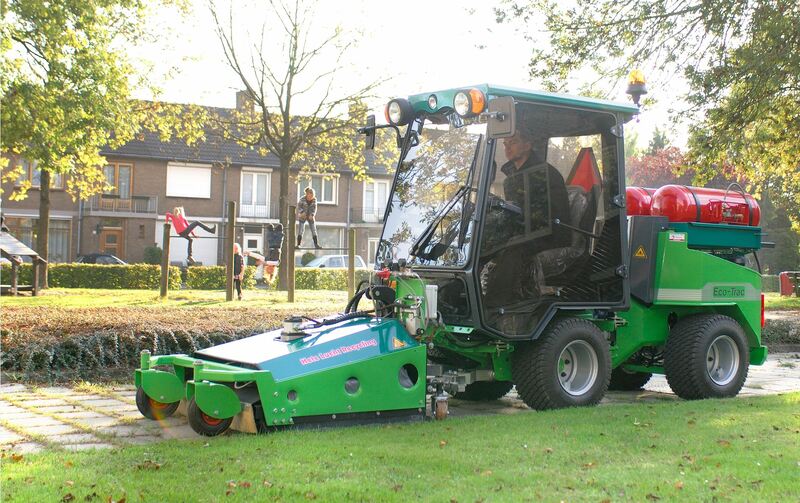 The AIR Combi Comfort combines effective weed control at a high working speed. The AIR Combi Comfort is a combination of an advanced hot air circulation unit available in two sizes. 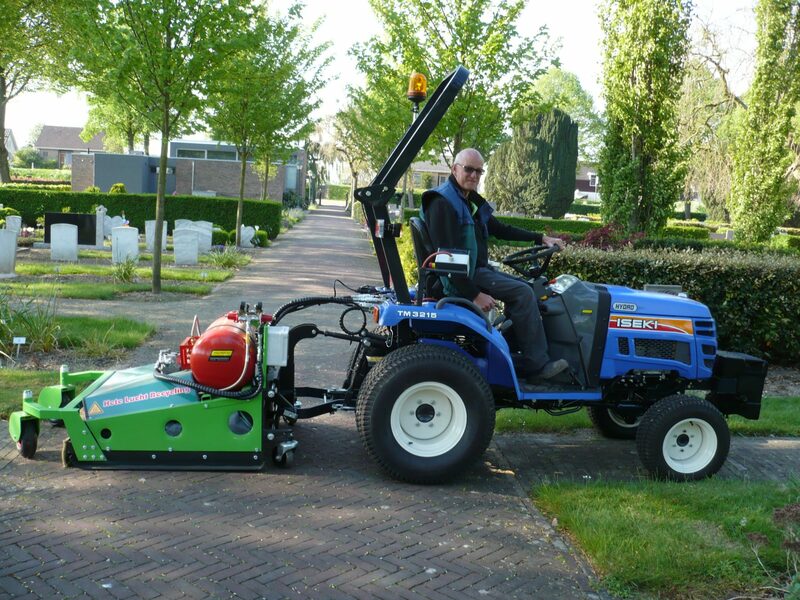 The Combi Comfort is available in a plug & play version, where the gastank is located on the front linkage of the machine. This makes your tool carrier universally applicable and still available for other work. It is also possible to mount the gastanks on the back of the tool carrier, there can be more gas taken along and the tool carrier needs less lifting capacity. 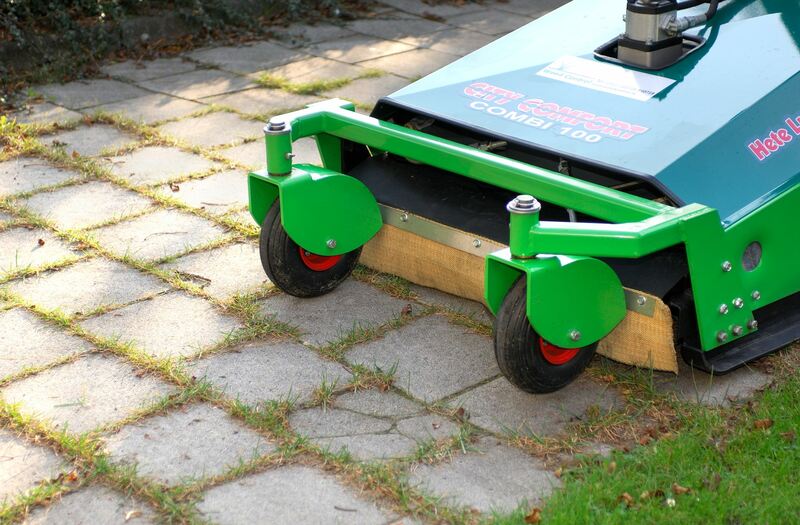 The machine is designed for weed management on larger (paved and semi-paved) surfaces such as car parks, pedestrian boulevards, city squares, industrial sites and city centres. Universal! Can be mount on many different tool carriers! 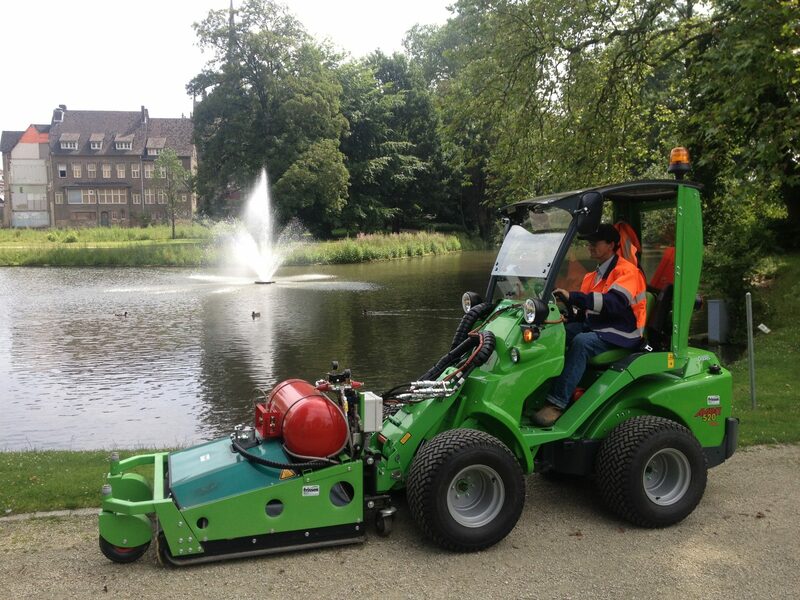 A perfect match is the AIR Combi Comfort with the Ecotrac or Greentrac tool carrier.